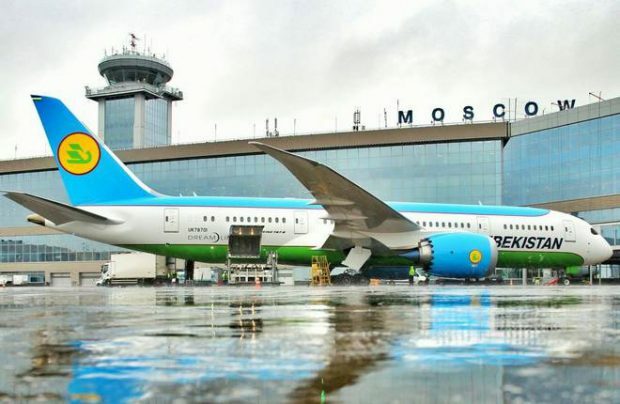 The Uzbek flagship carrier, Uzbekistan Airways, has signed an agreement for the purchase of three more wide-body Boeing 787s. According to the airline, they are to be fitted in the 787-9 version. Concrete dates of delivery and costs have not yet been mentioned. According to the news agency Podrobno.uz, Uzbekistan Airways has selected comfortable options for its economy class, including increased leg room and larger screens. Currently in the carrier’s fleet are two Boeing 787-8s with smaller capacity, which were delivered in September and November of this year. Tashkent-based Uzbekistan Airways uses its Boeing 787s on international routes, including to such destinations as Dubai, Delhi, Istanbul, Tel Aviv, Almaty, and Moscow. The airline has been ordering the new wide-body aircraft as a part of a program to expand and unify its fleet. Its subsidiary Uzbekistan Airways Technics is already prepared to service the composite components of these aircraft. Uzbekistan Airways operates other Boeing aircraft in its fleet, including nine wide-body Boeing 767s and six narrow-body Boeing 757s. The Uzbek airline also operates narrow-body Airbus A320s and regional Ilyushin Il-114s. The airline’s passenger traffic is continuing to decline despite these additions. For the first six months of 2016, passenger traffic fell by 4.7%, reaching 5.0% decrease by the end of the first nine months. Positive growth was recorded only on routes to CIS countries (+ 0.8%).